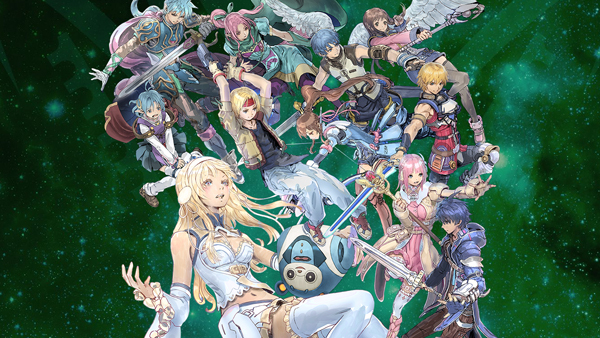 First details on the Star Ocean smartphone game. The latest issue of Weekly Famitsu has first details on Star Ocean: Anamnesis, Square Enix’s newly announced Star Ocean game for smartphones. Star Ocean: Anamnesis is in development at tri-Ace and music is being handled by Motoi Sakuraba. Users will be able to enjoy the series’ traditional real-time 3D action battle system in high-definition graphics, including four-player multiplayer battles. Battles promise to be intuitive with actions such as swipe to move and flick to evade. Ivlish (voiced by Sumire Uesaka) – A girl encountered by memory loss after barely managing to reach a planet following the failure of her hyperspace warp drive. Coro (voiced by Ryusei Nakao) – An AI robot who handles warship operations. Even though he’s a robot, he is full of emotion and can run wild. Square Enix is planning a pre-registration campaign for the game. If it achieves over 100,000 registrations, a Valkyrie Profile character will join the game, and if it achieves over 200,000, series synthesizer Welch will join the game.